Mama and I have recently fallen in love with the Mexican restaurant around the corner, and tonight we discovered they have a wonderful dessert called Sopapillas. 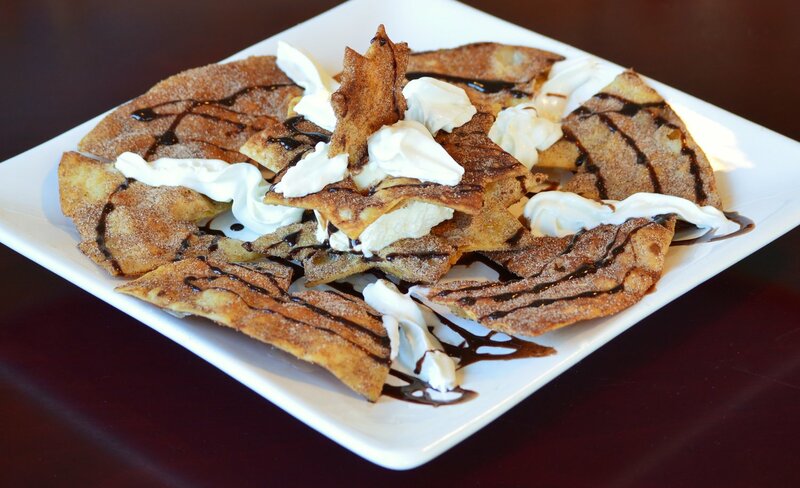 It’s a crispy fried flatbread sprinkled with cinnamon and sugar, served warm, and topped with whipped cream and a chocolate drizzle. It was absolutely delicious! We love tasting new foods, so today’s #OneGoodThing was trying sopapillas for the first time! Yum! Day 129 of 365. And Day 860 in a row (here’s the first 366 & the following 365)!